This project began with a square motif. Using 6-ply cotton yarn and 3mm crochet hook, I made and joined several motifs to make the collar or cowl for sleeveless top that I planned to work from the top down. But that never happened, my experiment failed. 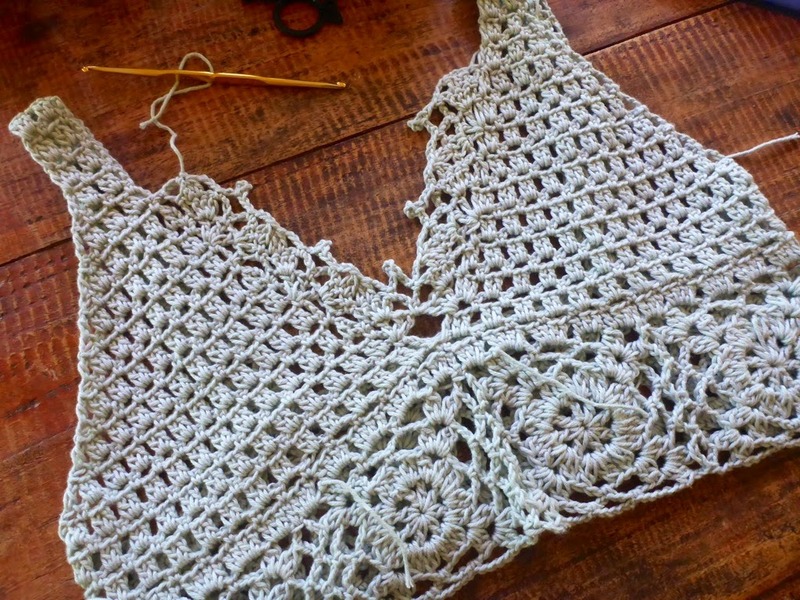 So I made the strip of motifs longer to go around the torso. 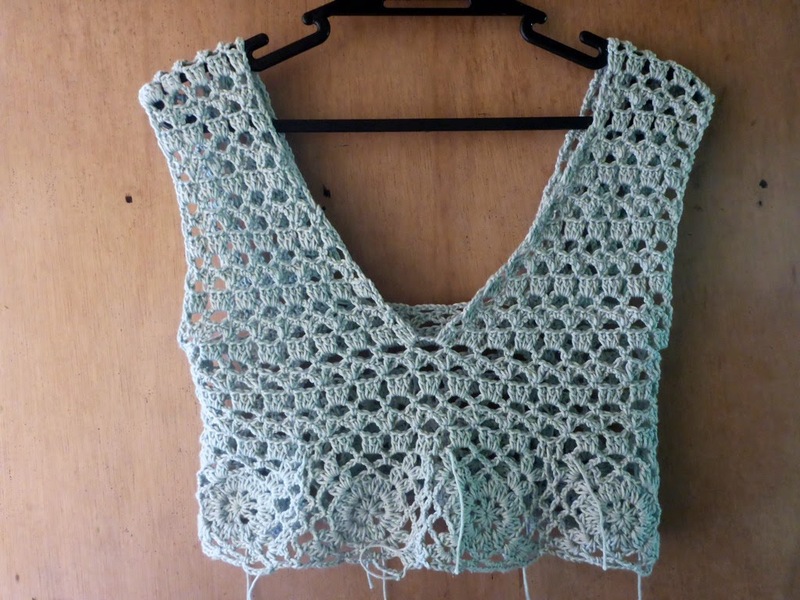 I wanted to make a V-neck sleeveless top. 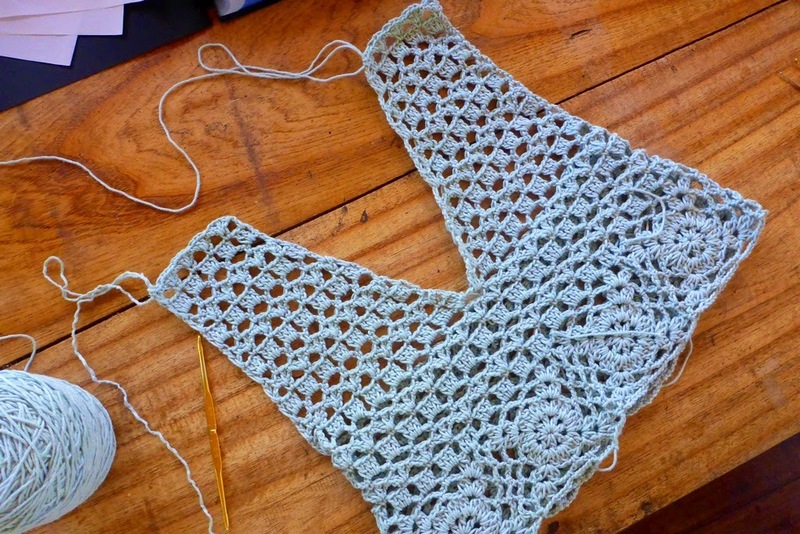 I started working around the strip, upwards, split for the neck and armholes. I didn’t like how the shaping was coming along, too broad at the shoulders. So I ripped this and started with the strip of motifs again. 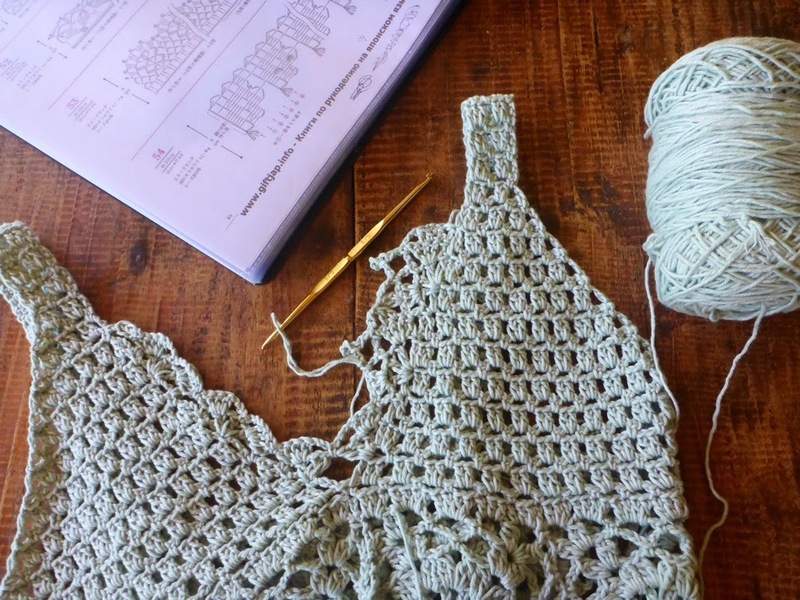 This time, I use a simpler stitch pattern which was easier to shape. I made the shaping narrower towards the shoulders. It looked so much better. I continued on and sewed the ends of the strap to the back. 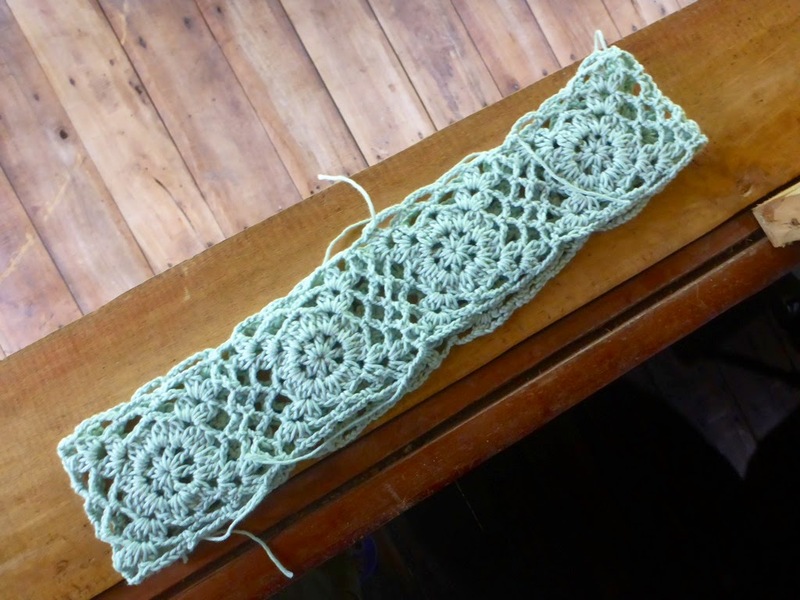 Afterwards, I looked for nice crocheted edging patterns. I found some and modified them to suit my project. 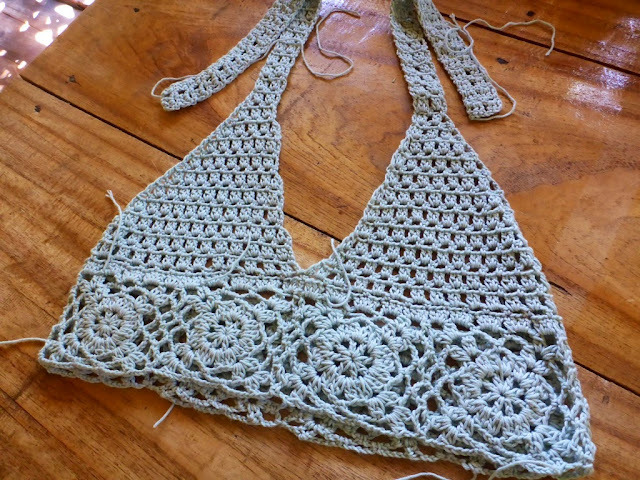 I made a simple lace edging along the neckline of the top. 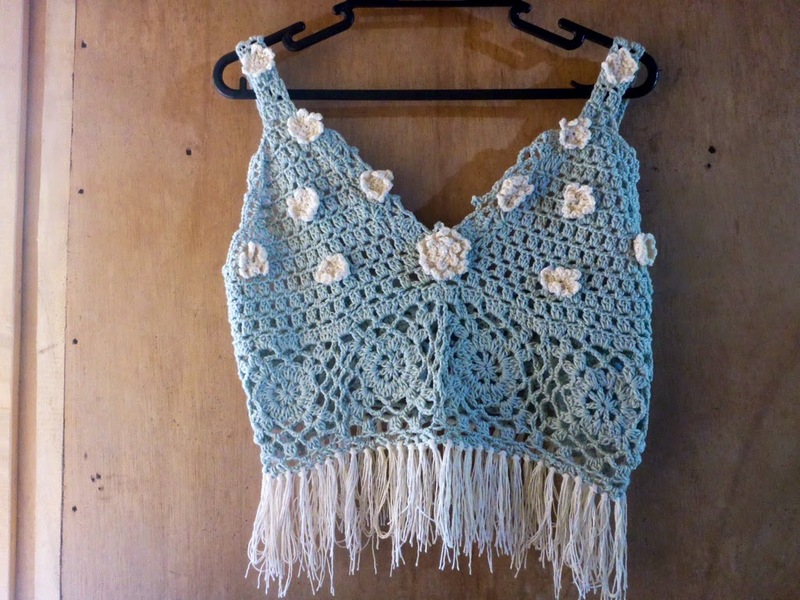 I also made a similar trim along the outer side of the bra cups and along the back. The top would become a low-back top but that’s alright, I am beginning to get more used to such types of garments. It is also more suitable for our tropical climate. The inspiration for this project is the triangle bralette. I really wanted that v neckline and triangular shape for the bra part of this garment. Then I made some flowers and sewed them on the top. 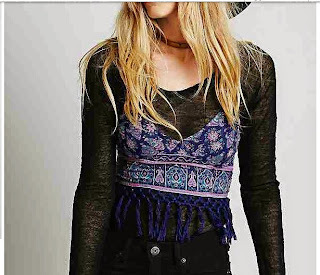 Inspired by Free People’s Secret Garden High-Neck Bra and Secret Garden Triangle Bra. I am adding fringes to the top now, inspired by their Fringe Bralette. 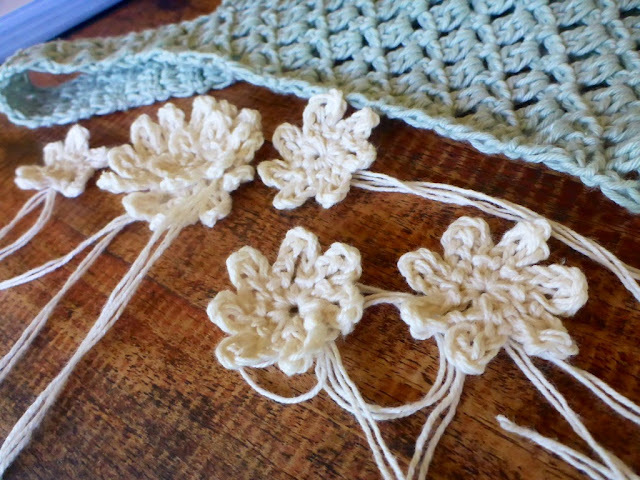 I made the flowers separately using two strands of 3-ply cotton yarn in natural colour (I didn’t have 6-ply). 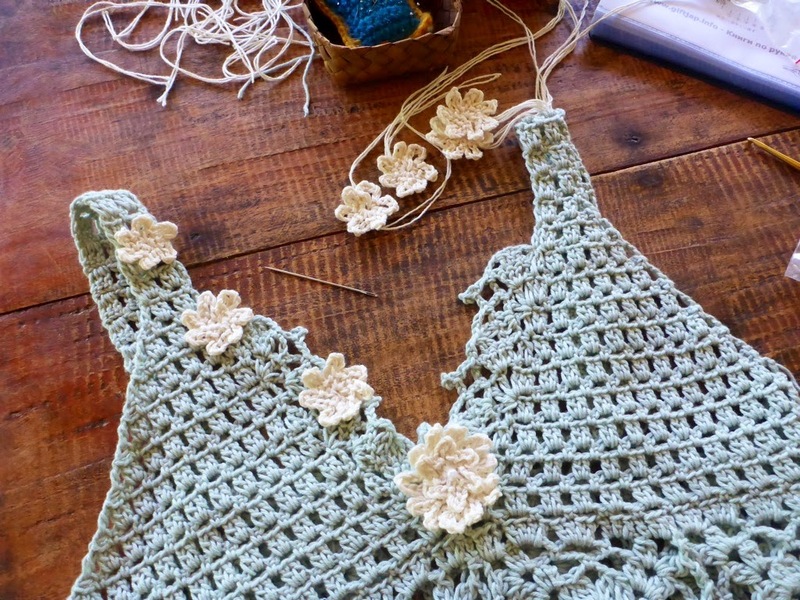 Then I sewed the flowers to the front of the top. 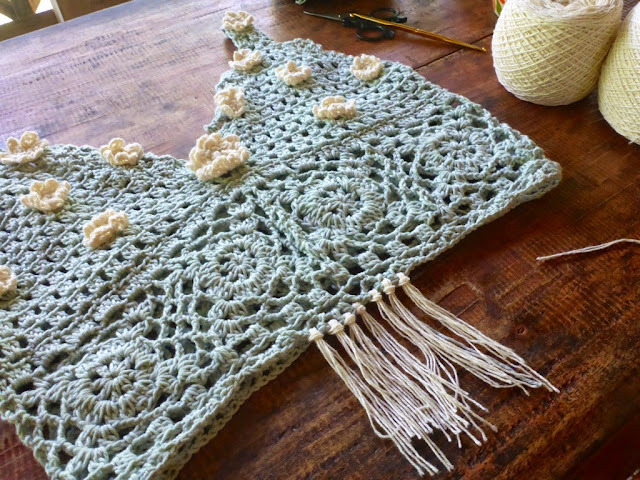 Next was the fringe, all also made with 3-ply natural cotton yarn. I am very happy with this project. I also made a skirt to match! you should totally sell your creations at Ebay =) specially the ones that you improvise at. Oh by the way, as a kid I used to wear lots of cropped tops, specially the ones with the open back. Beautiful job Fatima! So cute.